Do you want to change or update Aadhaar card details after marriage on your Aadhaar card? In this tutorial, you will know how to change your name/surname and address on Aadhaar card after marriage easily. Most of the times women need to change their names or surnames on Aadhaar after marriage. After the wedding, women usually have to shift their home, So she also has to change address details on Aadhar card. Sometimes Mens also shift their homes after getting married or switch jobs, which might result in their address change. Some may ask is it necessary to change surname after marriage in Aadhar card? Yes, to acquire many govt. schemes. It’s very simple and easy to change details in Aadhaar card after marriage. There are four methods by which you can make a change in your Aadhar card after marriage. 1. Through UIDAI official website. Aadhar card address update after marriage online. 1. Visit to UIDAI official Website. 2. 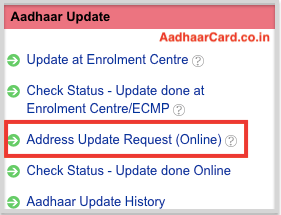 Click on Address Update Request (Online) under the Aadhaar Update. 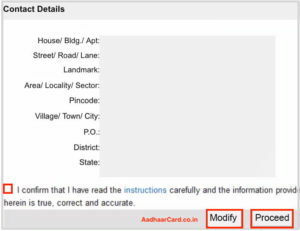 Note – If you don’t have a Valid Address Proof to send to UIDAI, then you must follow this Guide otherwise follow these steps given below. #4. Enter your Aadhaar Number/VID, Text Verification(Captcha) and then click on either Send OTP or Enter TOTP based on your preference. 6. 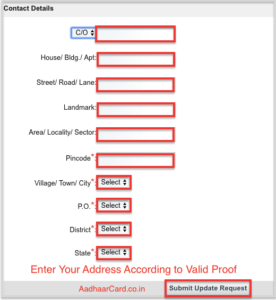 Enter Your Address Details according to your Valid Address Proof and click onSubmit Update Request. Once the Update is successfully applied, you can Download the Updated Aadhaar or go for order Aadhaar reprint to get your Aadhaar card with in 5 days. 1st: By visiting Aadhaar Enrollment center. 2nd: By sending update request via post. 3rd: By calling to UIDAI call centre. 1. Visit nearby Aadhaar Enrollment centre. 2. 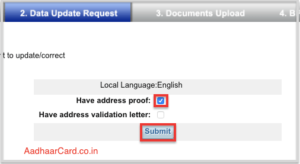 Ask for Adhaar Correction Form then fill the Aadhaar Correction form. 3. You need to carry original documents, like Marriage certificate, pan card, recent aadhaar card or any other document which you have got after marriage as a proof. 4. Original documents will be scanned and handed back to you after updating. However, if you are visiting an enrolment center for the correction/update you need to pay a fee of Rs 25 each time you get your details updated. As per the UIDAI website, the time period for the updation Aadhaar after is maximum 90 days. Your update request will be verified by the UIDAI representative. Once your request is approved, you can download your e-Aadhaar by clicking “Download Aadhaar” on uidai.gov.in as mentioned in the above procedure. For Update of Mobile number/Email ID, only notification will be sent on the given mobile number/email ID. You can get your Aadhar details updated offline by sending the request through a post to UIDAI office. 1. 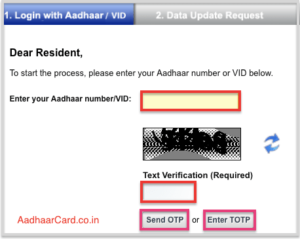 Download the Update Request Form (Aadhar card name change after marriage form pdf). 2. Fill the form in CAPITAL LETTERS and Fill the required details which you wish to change in your Aadhar card. 3. Attach photocopies of self-attested supporting documents with the form that validate the changes requested to be made in the form. 4. Mark the envelope as “Aadhaar Update/Correction” on top. then within 2 weeks, you will receive URN number on your registered mobile number. Then you can see the status of your request for the change in Aadhaar Card Details. 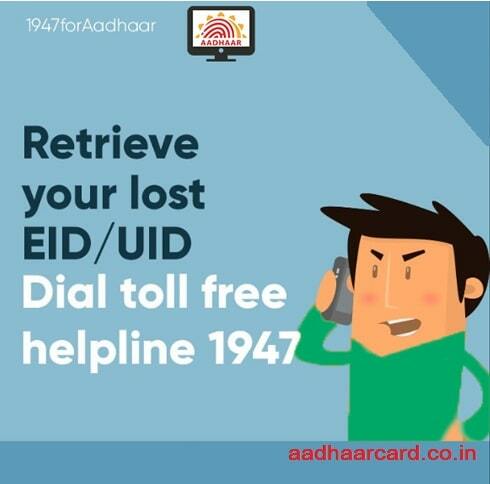 You can update Aadhaar Card after marriage by just making one to UIDAI Toll-free number. 2. Choose one language HINDI or ENGLISH which is comfortable for you. 3. Listen carefully and choose the option to talk with Aadhaar executive. 4. Place a request with the executive to change name/address on Aadhaar card. 5. Executive will ask you a few questions to verify your identity. New Aadhaar card will be sent to your mentioned residential address by post within 90 days. Documents proof for change in Aadhar card after marriage should proof your relation ship or marriage.